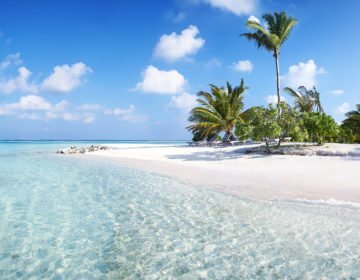 The Maldives doesn’t only offer spectacular natural landscapes of shimmering white sandy beaches, lush green palm trees, and warm, gin-clear waters – it also boasts some world-class restaurants and unforgettable fine dining experiences. An array of luxurious island resorts features award-winning restaurants, chic cafés, relaxed beach bars and elegant lounges that provide outstanding cuisine with local and international accents and flavors. Traditional Maldivian cuisine is seafood-centric with a variety of fresh locally-caught fish and other types of seafood, such as calamari and prawns, and is a staple ingredient on many restaurant menus. Contemporary Maldivian cuisine also boasts fish and shellfish, along with an array of international flavors, such as Indian, Sri Lankan, Malaysian, and European. From extravagant underwater bars and restaurants to unique chef-prepared gourmet dining experiences on private islands in the middle of the ocean, here are some of the top fine dining restaurants in the Maldives. Aptly named, Subsix at Per Aquum’s Niyama Resort is another extraordinary dining establishment which rests 20 feet below the surface of the sea. The restaurant is accessed by speedboat and a three-tier staircase that descends into the sea and boasts stunning ocean-inspired décor that complements the breathtaking underwater surroundings. Contemporary design elements include a sweeping curvy clam-inspired bar, soft anemone chairs, wavy capiz shells draped from the ceilings, and Italian abstract chandeliers that illuminate the interiors like glimmering coral. Subsix serves sumptuous Champagne breakfasts, sub-aquatic lunches, and gourmet dinners with sublime menus of chef-inspired creations like swimmer crab with couscous pomelo and ocean foam and lobster medallions with heirloom tomatoes and blackberry essence. The restaurant also hosts twice-weekly “glow party” club nights where guests can dance the night away against an illuminated backdrop of the surrounding reef and its striking inhabitants. Subsix serves sumptuous Champagne breakfasts, sub-aquatic lunches, and gourmet dinners. Photo credit: Niyama Resort. For sheer romance and unforgettable memories, nobody does it better than the Four Seasons Resort Maldives at Landaa Giraavaru. Four Seasons dining always promises exceptional menus of world-class cuisine, but for special occasions, the Four Seasons Resort Maldives at Landaa Giraavaru boasts unique settings that make an award-winning dining experience even better. Guests can choose from a dreamy dinner on a private sandbank kissed by warm, gentle sea breezes beneath a blanket of stars, a dramatic mid-ocean meal on a floating platform surrounded by the azure waters of the lagoon, or a sumptuous beach barbecue with toes-in-the-sand dining and spectacular sunset views. For those who prefer a romantic restaurant experience, Blu Beach Restaurant at the western end of the island features a stunning pavilion that overlooks the lagoon and serves delectable Italian cuisine. Al Bakarat at the Four Seasons Resort Maldives at Landaa Giraavaru boasts an Arabian nights setting that makes for an award-winning dining experience. 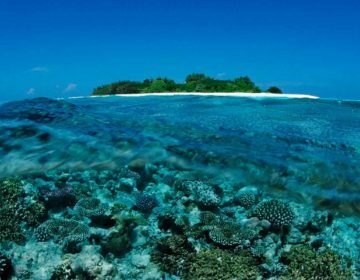 Photo credit: Four Seasons Resort Maldives at Landaa Giraavaru. 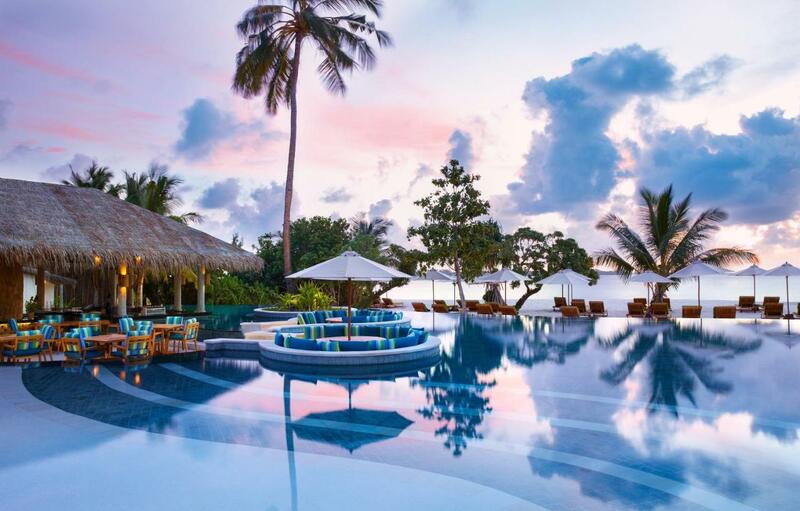 Located at the luxurious Six Senses Laamu in the Laamu Atoll, Sip Sip at Six Senses Laamu is one of six elegant restaurants at the luxe resort. The enchanting poolside restaurant boasts a sunken bar and poolside seating that seems to emerge from the gin-clear infinity swimming pool and serves a seasonal, ever-changing menu of mouthwatering dishes that blend East and West flavors with homegrown produce from the island’s organic gardens. Sea breezes drift among the rustic woods under high palm-thatched roofs of the restaurant as diners relish fresh ‘farm-to-pool’ fare such as pan-fried goat-cheese salad with mango compote and cherry tomatoes, crispy Thai fish cakes on a peanut-and-green-mango salad, and a delicious Maldivian Chicken Curry with young coconut, Pandan rice leaves, and island spices. The enchanting poolside restaurant boasts a sunken bar and poolside seating that seems to emerge from the gin-clear infinity swimming pool. Photo credit: Six Senses Laamu. The Ithaa Undersea Restaurant at the Conrad Maldives Rangali Island in the South Ari Atoll has to be one of the world’s most spectacular dining experiences. 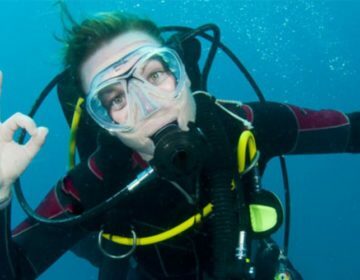 The intimate restaurant is situated 16 feet below the surface of the sea in a glass enclosure that allows diners to admire the colorful reefs, schools of vibrant fish, and cruising sharks of the undersea world while dining on award-winning cuisine. The Ithaa Undersea Restaurant, whose name means ‘mother of pearl’ in the native Maldivian language Dhivehi, offers a luxury six-course set dinner of contemporary European and Maldivian cuisine. Diners will savor exquisite delicacies such as Malossol imperial caviar with sour cream potato blinis, calamarata pasta stuffed with reef lobster, yellowtail kingfish with a saffron champagne risotto and beurre blanc foam, and a mouthwatering vanilla chocolate vantage with mango sorbet. While the cuisine is definitely to die for, it has to be the awe-inspiring surrounding views of the passing reef sharks, flying manta rays and gliding turtles that take the cake. 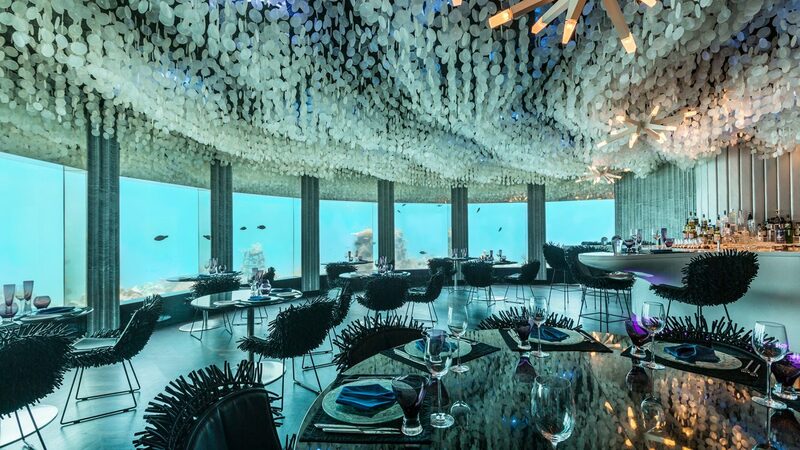 Ithaa Undersea Restaurant is one of the world’s most spectacular dining experiences. Photo credit: Conrad Maldives Rangali Island. Located at the private island resort of Taj Exotica Maldives in Emboodhu Finolhu in the South Malé Atoll, Deep End Restaurant floats above the gin-clear waters of the ocean on wooden stilts and features partial al-fresco seating, candlelit tables, and a spellbindingly romantic ambiance. 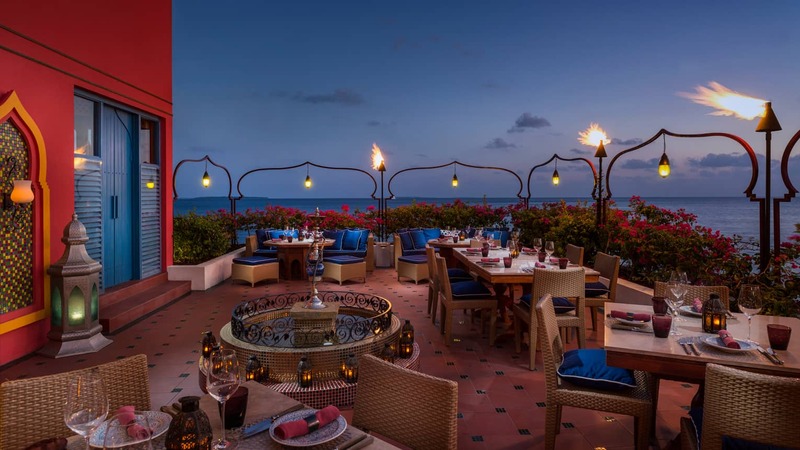 The dining establishment offers an unparalleled Mediterranean dining experience with a mélange of enticing flavors from the countries touched by Mediterranean basin and put together by the resort’s culinary experts. The delectable menu features traditional vegetarian and meat-based Arabic mezze, Moroccan Tajines, and meaty kebabs, along with the famous signature dessert, Opera that will transcend any dining experience. Deep End Restaurant offers partial al-fresco seating, candlelit tables, and a spell-bindingly romantic ambiance. 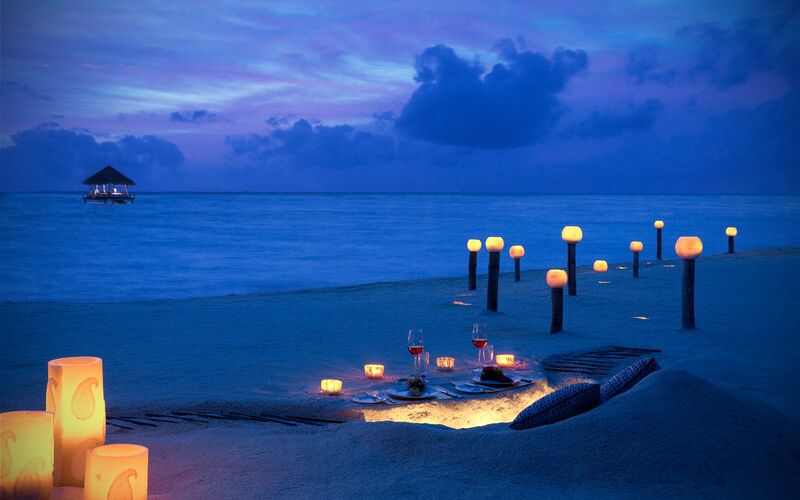 Photo credit: Taj Exotica Maldives.